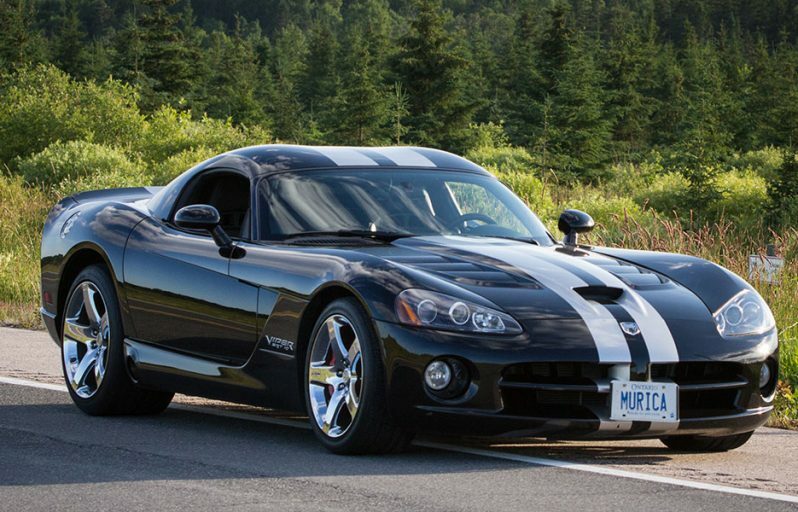 I fell in love instantly- it was everything I loved about my first Viper. I think it all started watching my childhood hero, Jim Scoutten, hosting Motor Trend Television. I used to get up and watch that on Sundays with my dad. Scoutten had the manliest TV voice I’d ever heard, and whenever he was driving the Viper, that went up a notch or two with excitement, which transmitted directly to me. He always seemed so impressed with it. 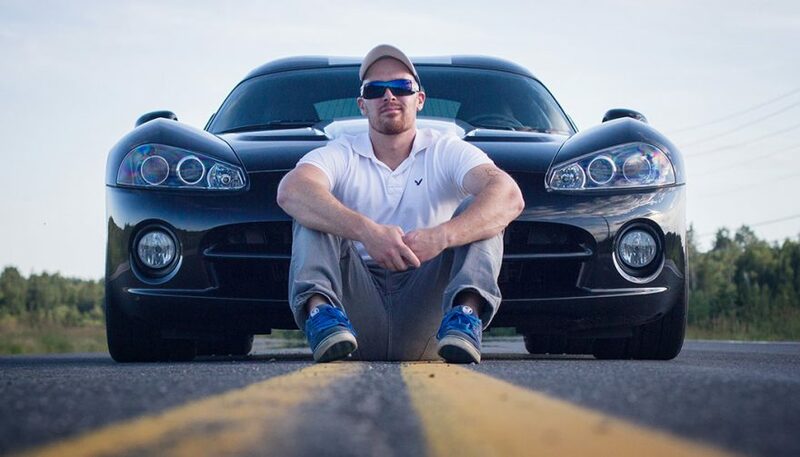 And, after a rare chance to visit the factory that builds the Viper, after a 9 hour road trip there in my car, and meeting the people who built her, it really confirmed that I was ‘bitten’ for life. Sometimes, I go into the garage just to look at it- even if my friends joke about how loud and obnoxious and primitive it is. 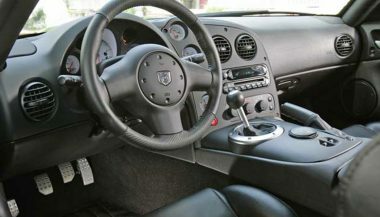 After owning my dream car (one 2000 Dodge Viper GTS) for 5 years, I popped into a used car dealer, on a whim, to take a look at a 2008 Viper SRT-10 Coupe I found for sale online, in the exact same color scheme. 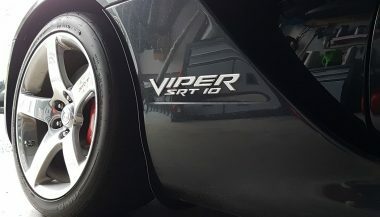 I fell in love instantly– it was everything I loved about my first Viper, but more of it, with a much-improved interior, more power, better handling, better brakes, and more refinement. 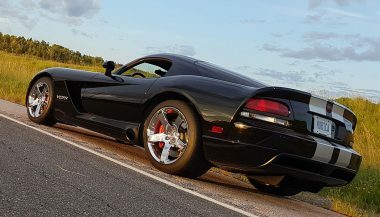 I’d had a chance to visit the Dodge Viper factory in Detroit a few years earlier, and after meeting the people who built these machines, it really cemented my love for the Viper, and confirmed that I’m a bit of a ‘lifer’. I drive many hot cars for a living, and few if any make me smile as widely as this one. She needs some exhaust, probably a Borla cat-back. That’s about it. 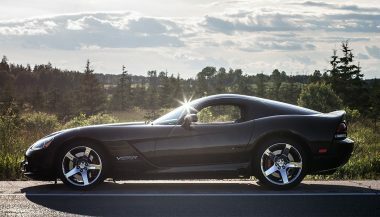 One reason I love the Viper so much is because the performance and capability, right out of the box, is pretty stellar. For me, there’s no need to modify. I’ll save my money for tires, brake pads, fluids and lapping day admission. Also, I’ve found that modifications can negatively affect the resale value on a car like this– so I tend to focus on the out-of-the-factory performance, and spend my extra money on maintenance. 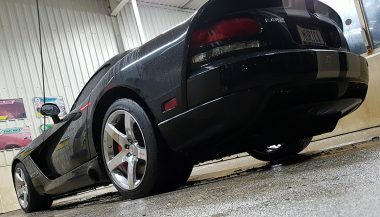 The Viper is intensive on maintenance for fluid changes and tune-ups, so I make sure it’s always running in tip-top shape, with fresh oil, transmission fluid, differential fluid and even brake fluid, at all times. 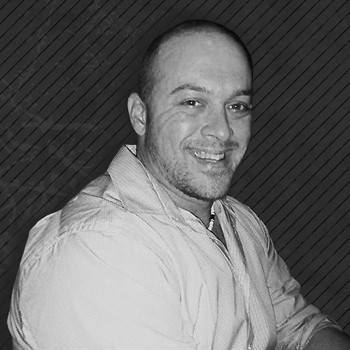 Of course, when the tires are worn out, there’s a hefty replacement bill to save up for there as well– you don’t put cheap tires on a car with 600 horsepower and no traction control. All said, though, servicing a Viper is easy. They’re not a complicated car to work on at all, all mechanical components are easily accessed, and my mechanic says it’s a dream to work on. You’re more likely to have to service and repair body-related parts, like hinges and latches, than anything mechanical, anyways. These are solid cars, where the driveline is concerned. 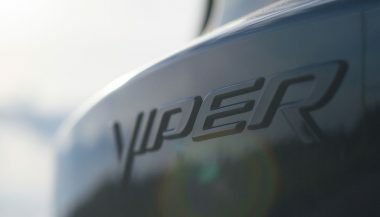 One reason I love the Viper so much is because the performance and capability, right out of the box. 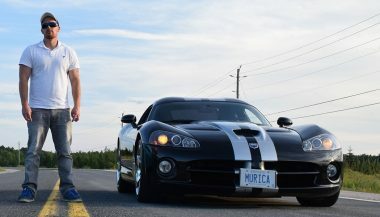 My first Viper won ‘Second Place Best Dodge’ in a car show once, even though I didn’t enter it. It also had the unofficial title of “Exhaust Note Most Similar to a Piece of Landscaping Equipment”, as rated by all of my friends. love the ribs and jabs from friends and family. 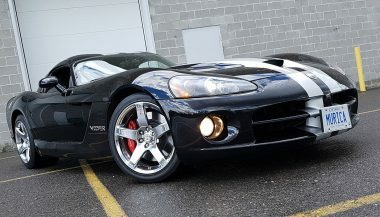 Everyone who has been for a ride in either of my Vipers always leaves with a grin– though the sketchy exhaust note and low-budget interior always coax some jokes, relative to the price of the car. Plus, it doesn’t even have cruise control. 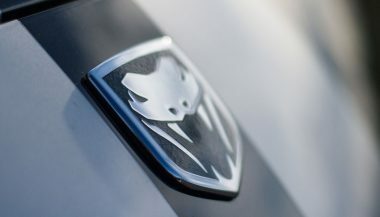 But what I love the most about the Viper is the reaction to it. They’re not commonly seen, and out in public, it causes kids to curse, people to gawk excessively, and cell-phone cameras to come out. I also love that it’s an exhausting machine to drive in some regards, meaning it’s not necessarily a daily driver for me. Some days, you just leave it in the garage, if you’re not in the mood to drive it. That makes it more of a treat when you do take it for a spin. I think I’ll keep this one for a few years, and eventually, upgrade to a 2014 or 2015. Maybe a Jaguar F-Type R after that. Who knows! 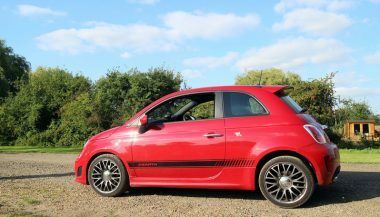 My 2013 Fiat 500 Abarth, is a fiery, noisy, little hot hatch. 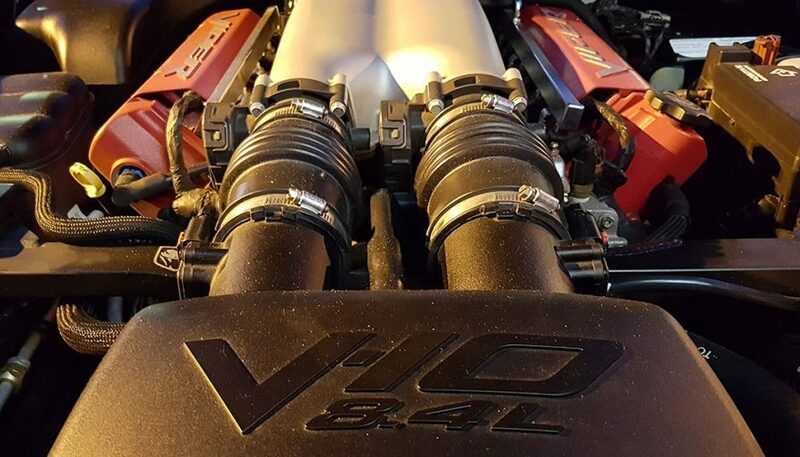 I think the 135bhp 1.4 turbocharged engine is one of the best out there. My Plymouth Savoy rose from the ashes to live again, to serve 3 generations of our family, and become a rolling piece of automotive history in the process. 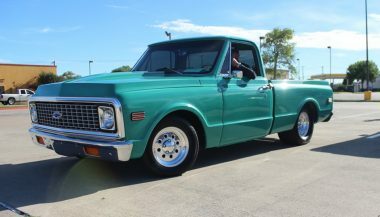 This 1971 Chevrolet C10 custom truck came with many modifications and there is more on the way! 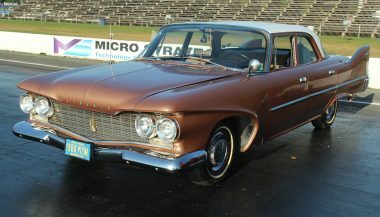 It is currently pushing 600+ horsepower!